Chances are when you post a selfie to Instagram or Flickr, you're not thinking about giving marketers valuable data. But The Wall Street Journal reports that's exactly what's happening as companies mine photos for insights and trends. 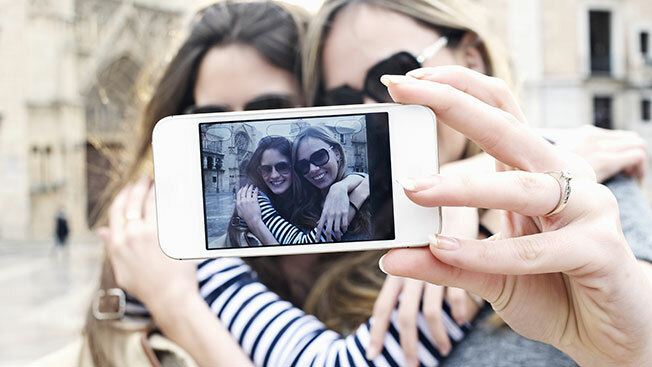 Photo-mining startups are searching and analyzing your public selfies to give advertisers a new kind of data. One is Massachusetts-based Ditto Labs, which offers a “Photo Insight Service” that can access a staggering 750 million photos daily via social media to identify brands, logos, products, clothing and even "smiles" to measure consumer sentiment. Another service called Piqora stores thousands of images on its servers to identify trends; it passes these insights along to clients who may want to design targeted marketing campaigns. One of Piqora's clients is clothing and accessory maker Fossil, which tracks its products and competing brands. At the same time, the largest photo-sharing sites say they inform their users that publicly posted content might be shared with partners, and that photos marked as private aren't available to marketers. And Pinterest, for example, has asked Piqora to stop storing its images. The reality is there are no laws forbidding publicly available photos from being analyzed in bulk, because the images are posted for anyone to see and download. And a picture may be worth more than a thousand words to the marketers who mine them.